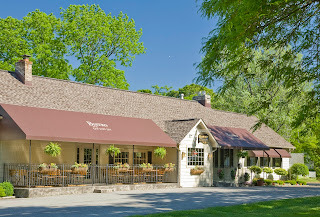 The Red Coach Inn is a unique Niagara Fall hotel unlike any other, and the focus of this post is for our followers to see a little about each room. 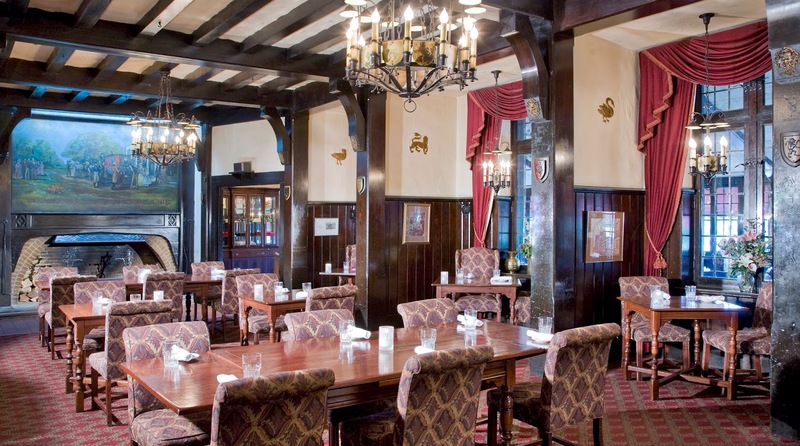 The Red Coach Inn has 35 rooms, and every room is different! From the layout to the decor to the view each time I stay I experience something new at the hotel! Last month's featured rooms was the Sheffield Suite, one our our one bedroom suites. 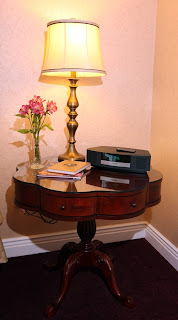 (If you missed the article CLICK HERE to check it out) This month I chose to feature one of guest rooms, the Brighton Room! 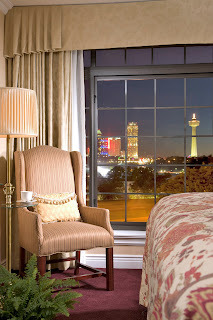 The Brighton is another guest favorite, mainly for it's stunning views of the Upper Rapids and the Canadian skyline. The Brighton Room is located on the second floor of the hotel, and there are no elevators, so if stairs are a problem I would try and book a first floor room. 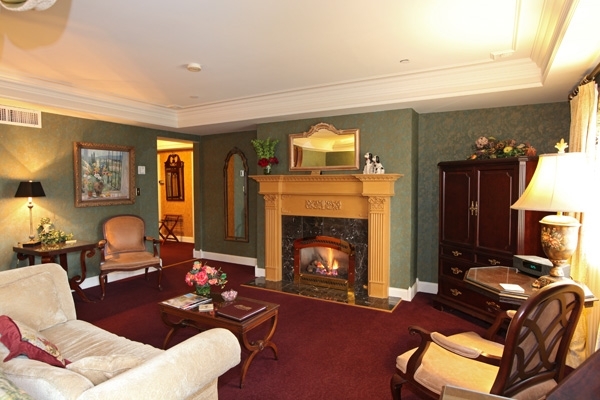 Inside the 275 square foot Brighton you will find a king size bed, and a private full bathroom with a Jacuzzi tub. 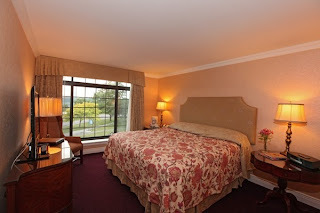 You will also enjoy all of the Red Coach amenities including a delicious welcome amenity, plush terry cloth robes, refrigerator, coffee maker, Gilchrist & Soames amenities from England, Bose stereo, and free wireless internet. Once you look outside the window of the Brighton Room you will see why it's so popular. 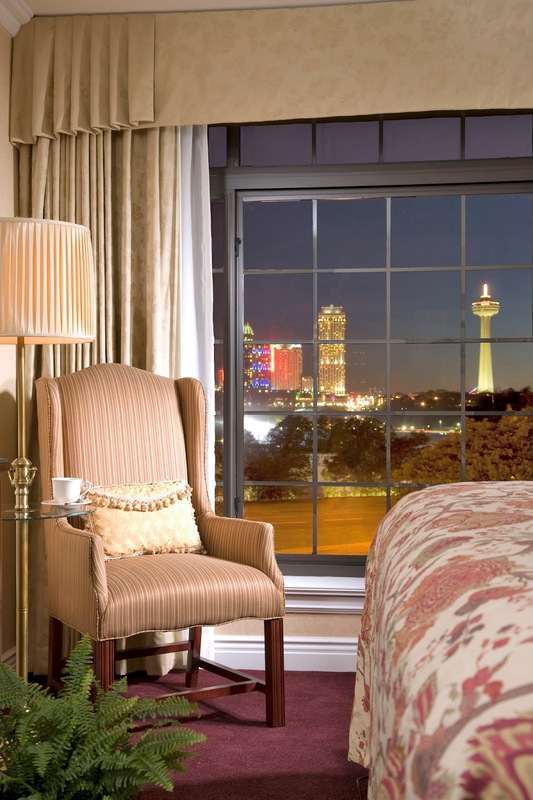 The room has a spectaular view of Goat Island, the Upper Rapids and the Canadian skyline. It's hard to choose which is more beautiful; the daytime rainbows and sunshine, or the nightime city skyline all lit up! The Brighton Room books fast, so I would recommend booking in advance if you are planning to enjoy this room. This is a great opportunity to take advantage of the Red Coach's Early Booker Discount and Save 10%! As Summer ends and we prepare for Fall it a great time to visit Niagara Falls. 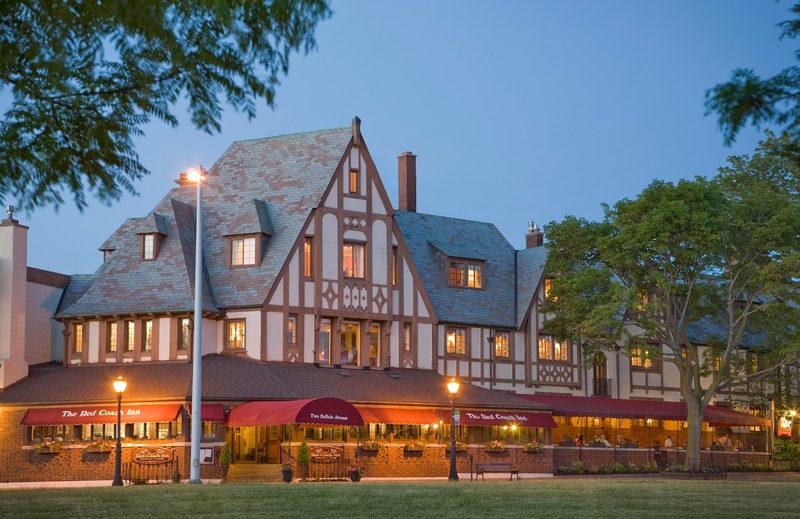 If you haven't made your Labor Day plans check-out some of the fun Niagara Falls events taking place this week, and don't forget to visit the Red Coach Inn for luxury accommodations and delicious dining in our restaurant! It's the last week of Flick on Old Falls Street! This is great opportunity to enjoy the outdoor weather and watch a movie over the Falls. This week's movie will be a classic, Ghostbusters! Food and beverage vendors will be offered, and don't forget to stay till the end and watch the fireworks over the Falls! Head to Downtown Niagara Falls for the 6th Annual Niagara Blues Festival for Labor Day Festivities! Regional and National artists will be performing Friday through Sunday. Activities begin at 4:00 pm on Friday with Big Tobacco performing. Saturday the Festival opens at noon and then on Sunday at 10:45 am for a Gospel Brunch. This is a FREE event and food and beverage vendors will be available! For more information CLICK HERE. The 24th Annual Olcott Beach Classic Car Show will be held this weekend at Krull Park in Olcott, NY. Registration begins at 8:00am, and dash plaques and awards will be awarded throughout the weekend. The event is presented by Time Travelers of WNY. For more information CLICK HERE. It's a delcious week at The Red Coach Inn! 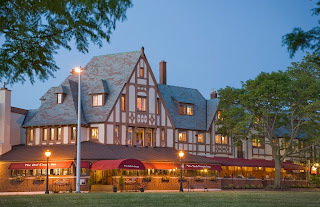 Enjoy this week's dinner specials from Friday August 16th - Thursday August 22nd starting at 4:00 pm. 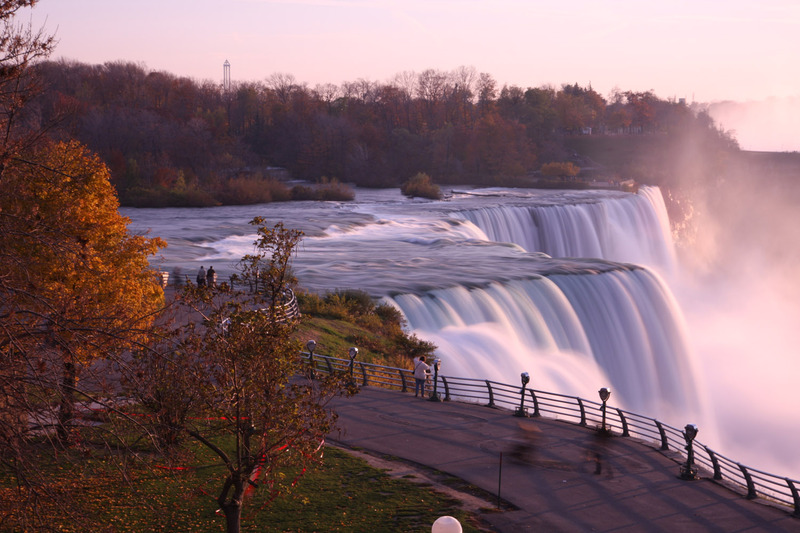 Temperatures are in the 70s, the sun is shining and it's a beautiful week to head to Niagara Falls! 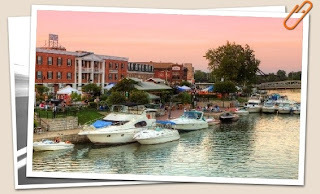 There are a lot of fun summer events happening this week and the Red Coach Inn is just minutes from it all! Recipient of Blues Beat Magazine's prestigious "Muddy" Award, Blue Mondays return to the gazebo in Lewiston for its 19th year of great blues music. This FREE event runs from 7:00 pm to 9:00 pm at the Hennepin Park Gazebo, Fourth and Center. The featured band this week is Big Sauce Trio. Legendary rock band Lynrd Skynrd will be performing at Artpark this Tuesday at 6: 30 pm. Lynyrd Skynyrd returns with a fiery slice of Southern style guitar rock heaven in Last of a Dyin' Breed, their newest release. This is the kind of record guaranteed to feed the needs of the multi-generational Skynyrd Nation! For more information CLICK HERE. 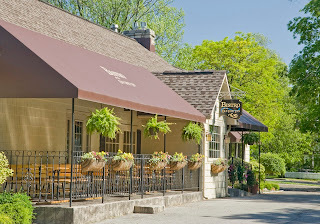 Come and experience jazz at it's finest in an intimate and relaxed outdoor concert setting at the Gazebo at Hennepin Park. The Lewiston Jazz Project is seven-piece group, under the direction of composer / pianist Ron Corsaro. The septet performs original as well classical jazz repertoire, swing, and modern jazz, accompanied by guest artists and student musicians. The concert is from 7:00 pm - 9:00 pm and this is a FREE event! For more information CLICK HERE! Grab a blanket and share a bag of popcorn each Thursday night as Old Falls Street USA turns into an open air theater featuring classic and contemporary movies under the stars. Food and beverage vendors will be available every week. This Thursday come and see The Avengers at 9:00 pm in the Old Falls Street Middle Block. For more information CLICK HERE. Kick off the weekend with the area's finest classic rock and dance bands. This FREE concert series features food and beer vending with plenty of room to dance. Make sure to stay until 10:00 pm when guests are treated to fireworks launched over Niagara Falls. The party starts at 7:00 pm on the Middle Block, and this week's featured band is Stone Row. For more information CLICK HERE. Sundays from July 7th to August 25th Jazzy Sundays will be held from 2:00 pm to 5:00 pm on Old Falls Street's Middle Block. the annual live music series features performances by the region's greatest jazz, Dixieland, and big band musicians. the afternoon also features Encounter Niagara's historical reenactors in period costume. This series is pet-friendly, so bring your pooch and get ready for some fun! It's another delicious week here at the Red Coach Inn! Whether your craving fish, steak or poultry we have the perfect dish for you! These entrees are only here for a week, so don't miss your opportunity to try one of these mouth-watering specials! Head out to Artpark on Tuesday to listen to 38 Special and Blue Oyster Cult. General Admission is $5 and gates open at 6:30 pm. For tickets and more information CLICK HERE. Grab a blanket and share a bag of popcorn each Thursday night as Old Falls Street USA turns into an open air theater featuring classic and contemporary movies under the stars. Food and beverage vendors will be available every week. This Thursday come and see West Side Story at 9:00 pm in the Old Falls Street Middle Block. For more information CLICK HERE. 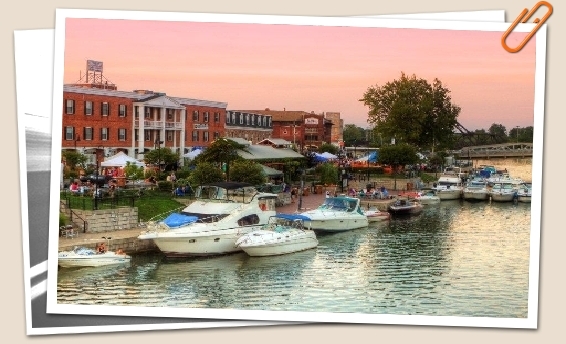 This weekend the 4th Annual Smokin Eagles International BBQ Festival will be held at Gateway Harbor in Tonawanda, NY. Enjoy great BBQ as you watch teams compete for cash prizes and the chance for a seat in the international event in Waycross, GA. You can also enter to compete in events too! There will be beverage vendors available and live music! For more information CLICK HERE. Kick off the weekend with the area's finest classic rock and dance bands. This free concert series features food and beer vending with plenty of room to dance. Make sure to stay until 10:00pm when guests are treated to fireworks launched over Niagara Falls. The party starts at 7:00 pm on the Middle Block, and this week's featured band is The Soul Providers. For more information CLICK HERE. 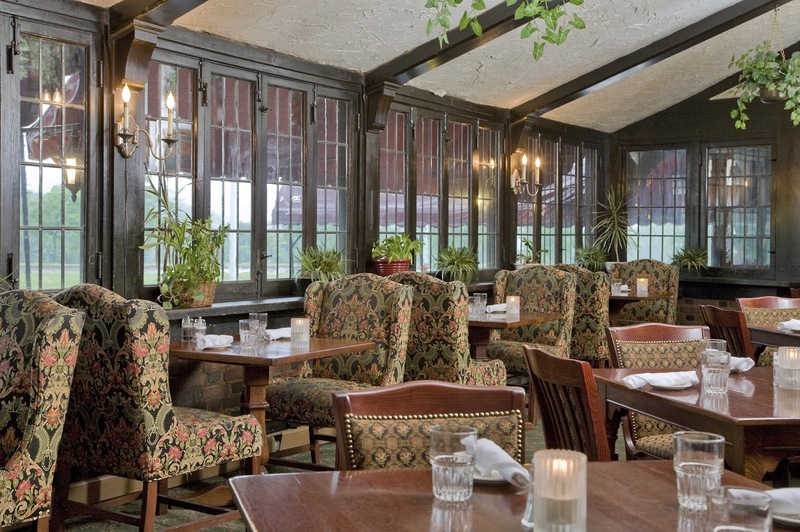 Our Chef's have chosen three mouth-watering entrees to feature for this Week's Specials! Entrees are not on our regular menu and are available from August 2nd to August 8th only. 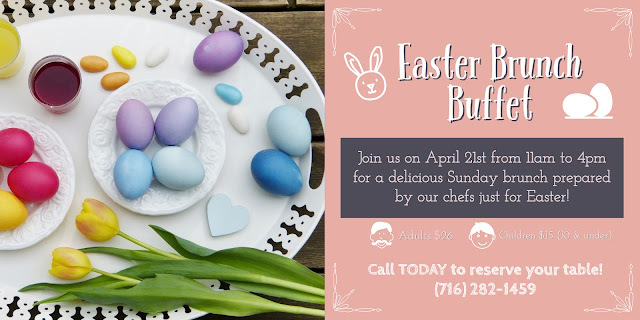 You don't miss this opportunity to try some delicious meals! 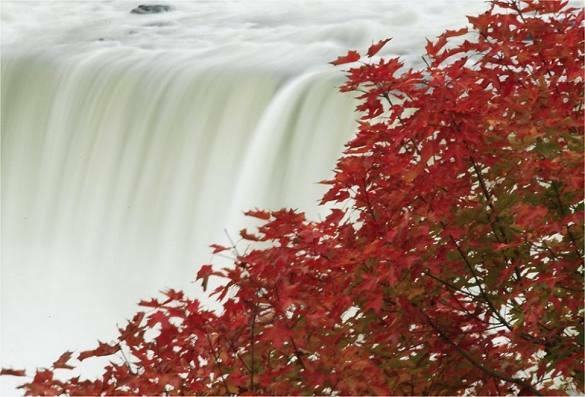 As the temperatures begin to fall, and the leaves turn red and gold the beauty of Niagara Falls seems to escalate. The fall foliage makes the picturesque scenery even more stunning. Scarecrow displays welcome visitors along the main streets of four of the quaint communities as part of the annual Scarecrow display. There are also so many fun Niagara Falls festivals happening including the Apple Festival and of course Oktoberfest! Falls is also one of the best times to visit the Red Coach Inn. Walking distance from Niagara Falls the Red Coach Inn is the best spot to experience fall in the Falls! Now is the time to book with our Early Booker Discount! If you reserve your room 21 days or more in advance you save 10%! We would highly recommend reserving a room with a fireplace, it's the perfect way to end a cold day in Niagara Falls. You can also add on a Romance Package and snuggle up to you sweetheart in one of our luxurious suites. For more information on our Specials and Packages CLICK HERE. 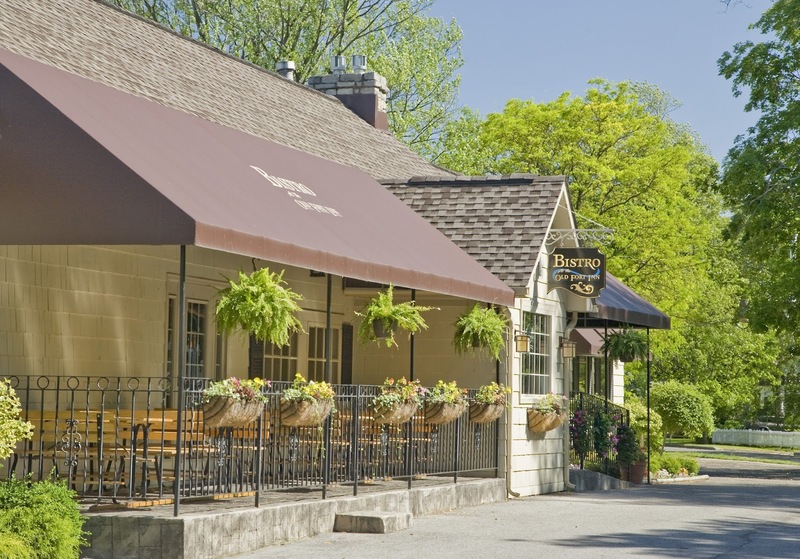 Peak fall foliage is generally three weeks later than the surrounding areas, in mid-to-late-October, so Reserve you Room Today!